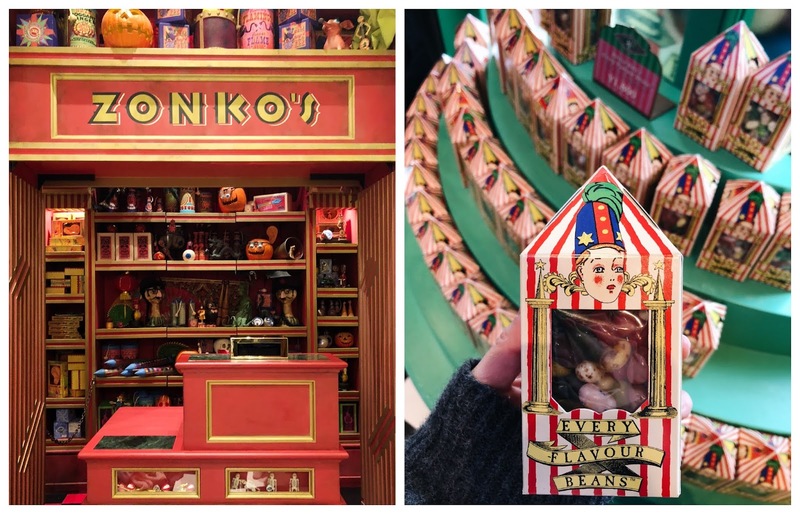 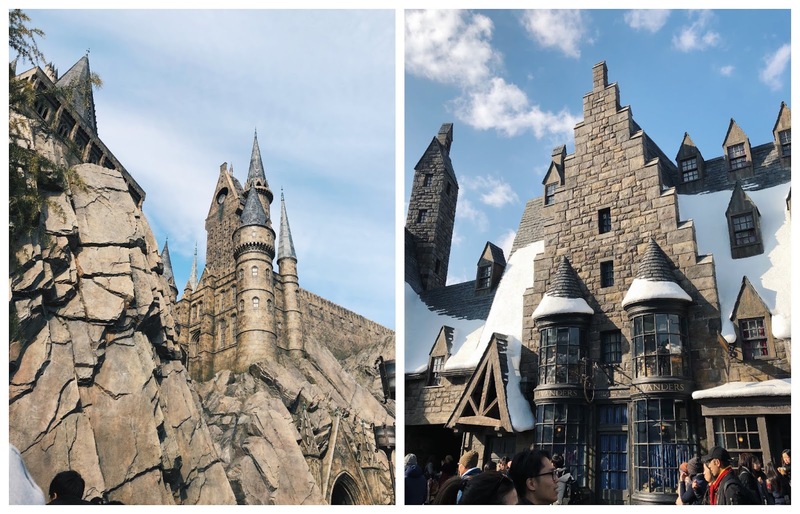 My Universal Studios Japan posts! 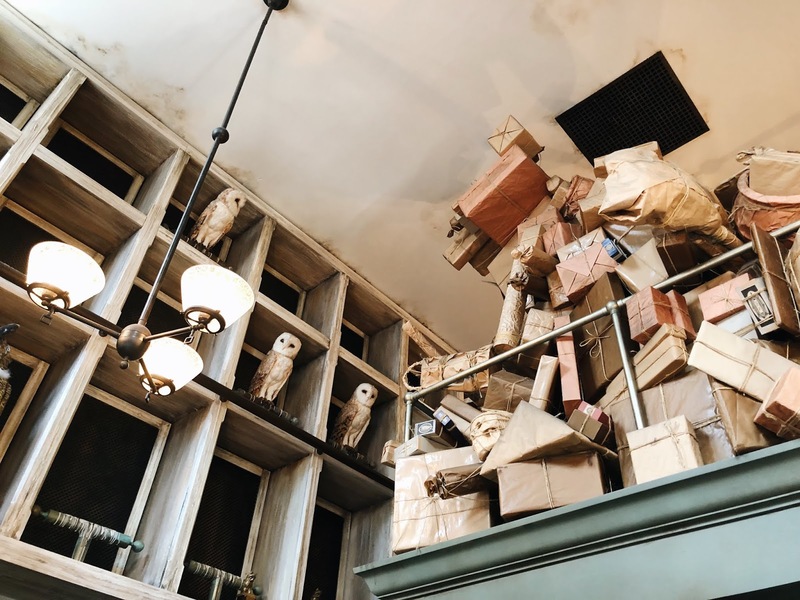 I decided that the Wizarding World of Harry Potter deserved a post on its own because it was so enchanting. 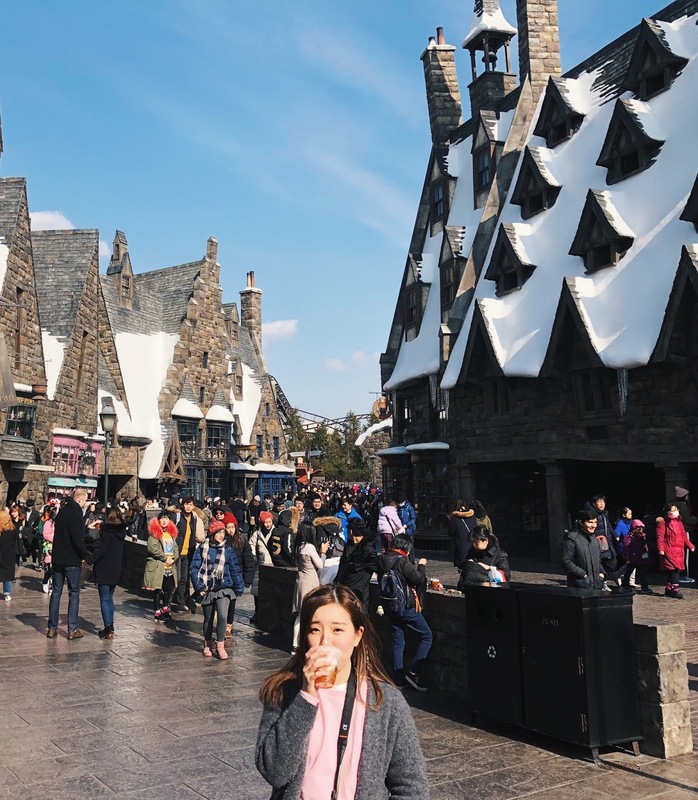 It was definitely my favourite part all of USJ 😀 We walked around Hogsmeade, went on the Forbidden Journey ride, shopped for wands and came back after dark for the magical winter light show. 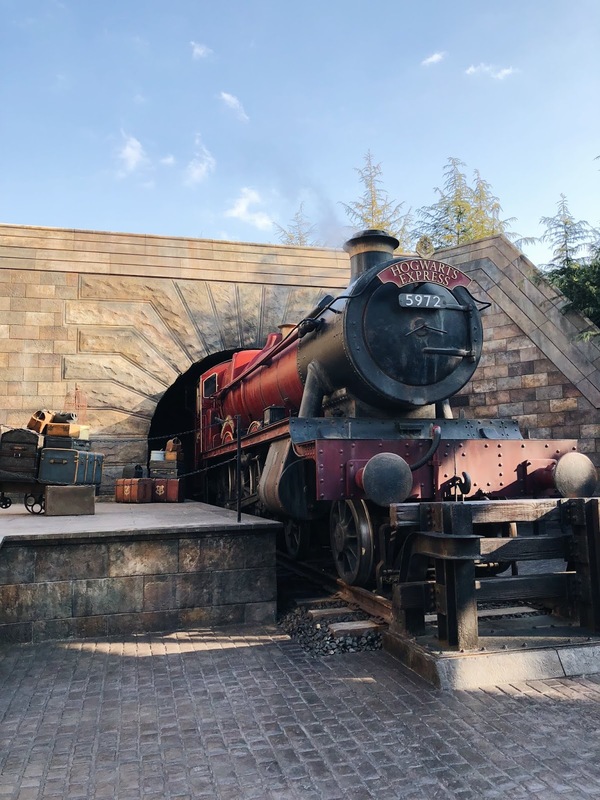 Situated between the JAWS and Sesame Street Wonderland, the entrance to the Wizarding World and Hogsmeade is through a narrow forest path. 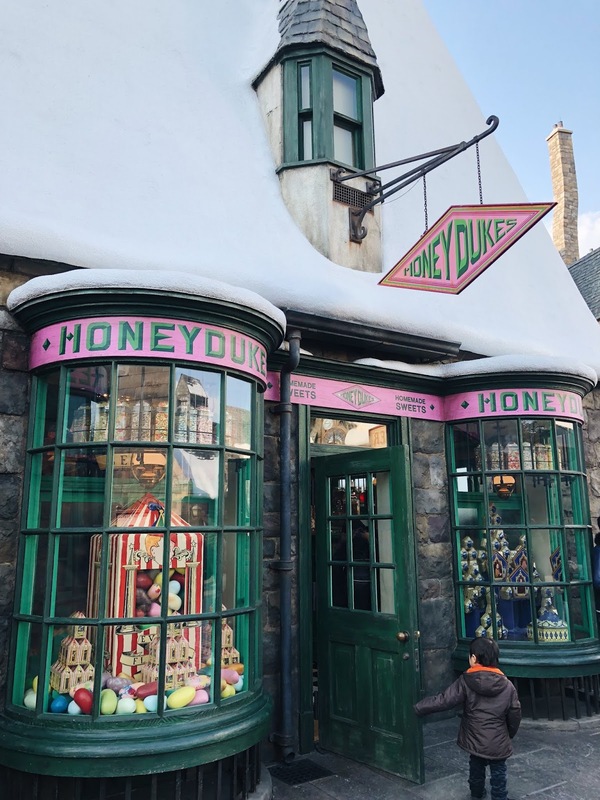 The theme song gets louder as you near the entrance and so does my anticipation (I start squealing). 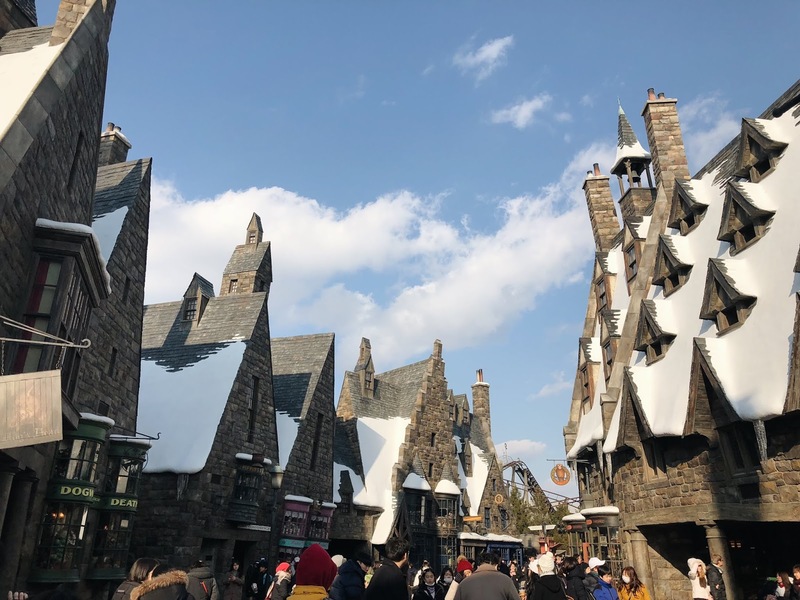 I was absolutely blown away when I set eyes on Hogsmeade. 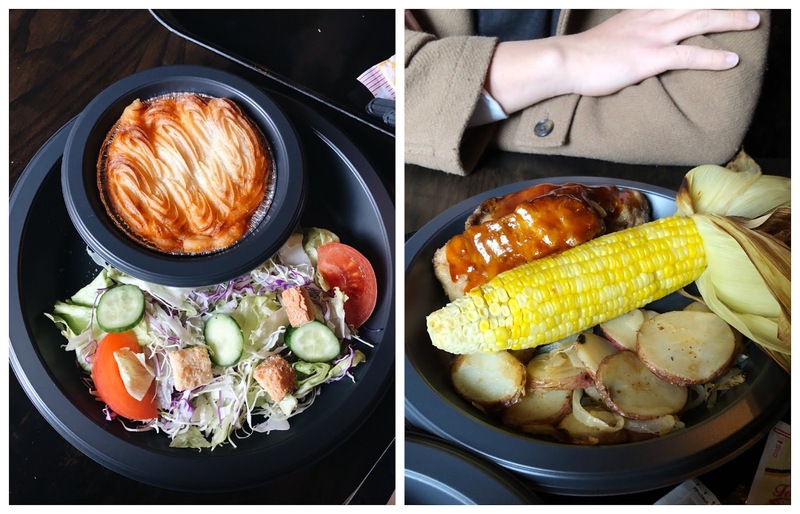 It looked amazing. 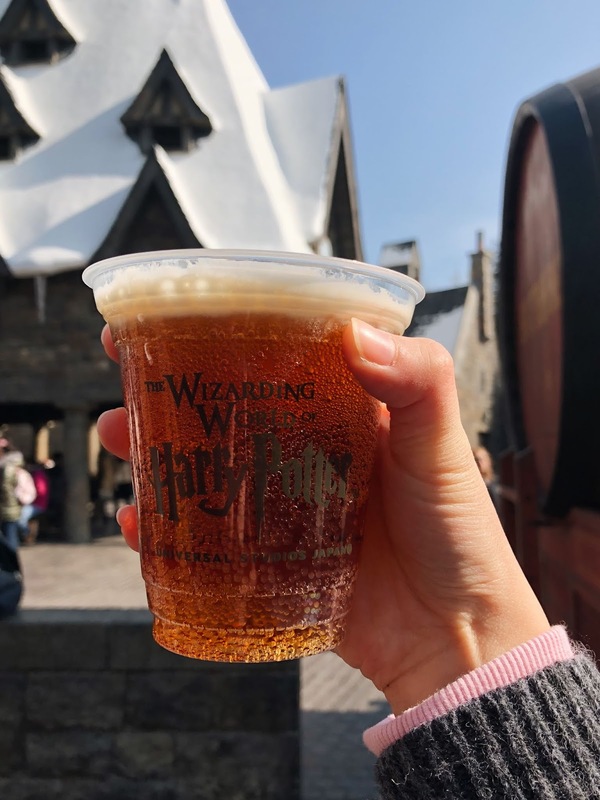 First thing’s first – finding out what butterbeer tastes like. 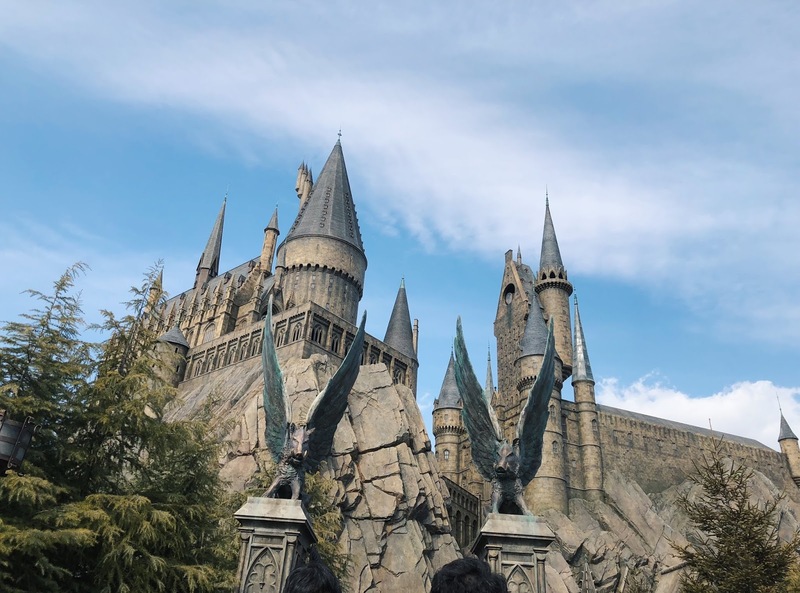 The main attraction is the Harry Potter and the Forbidden Journey ride inside the castle. 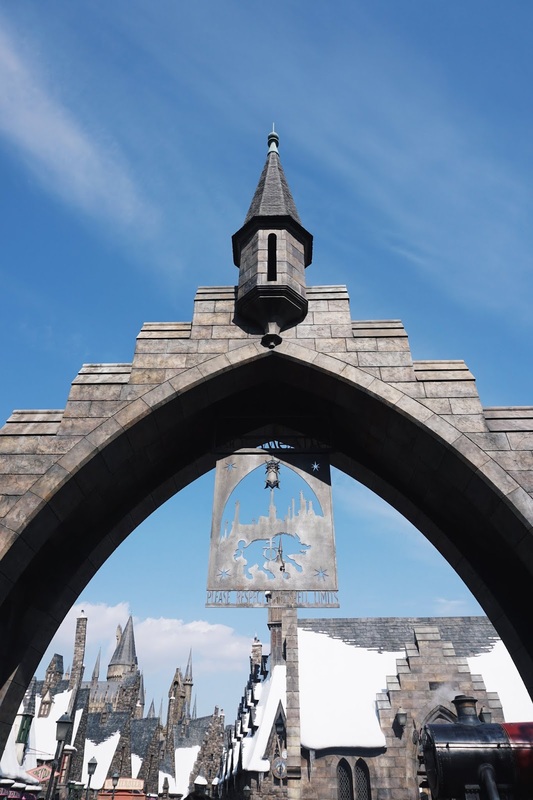 The Hogwarts Castle Walk takes you through the classrooms and corridors of Hogwarts but you can see most of them as you move through the queue for the ride. 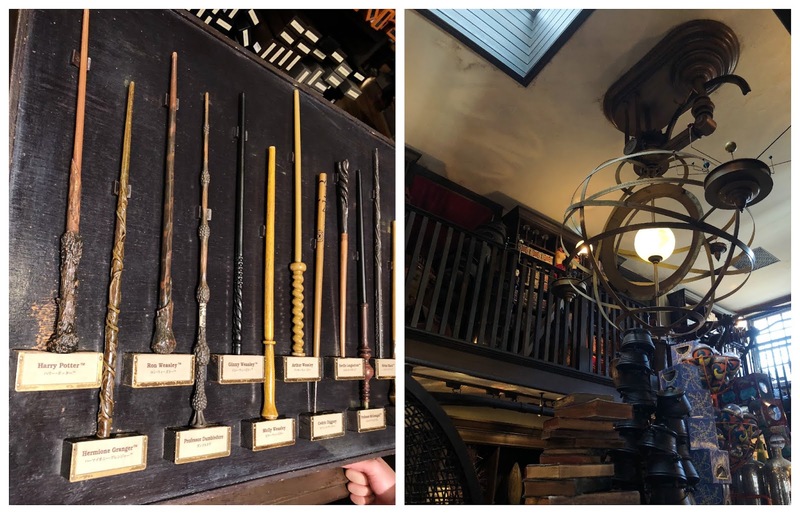 A neat experience we didn’t try out – casting spells! 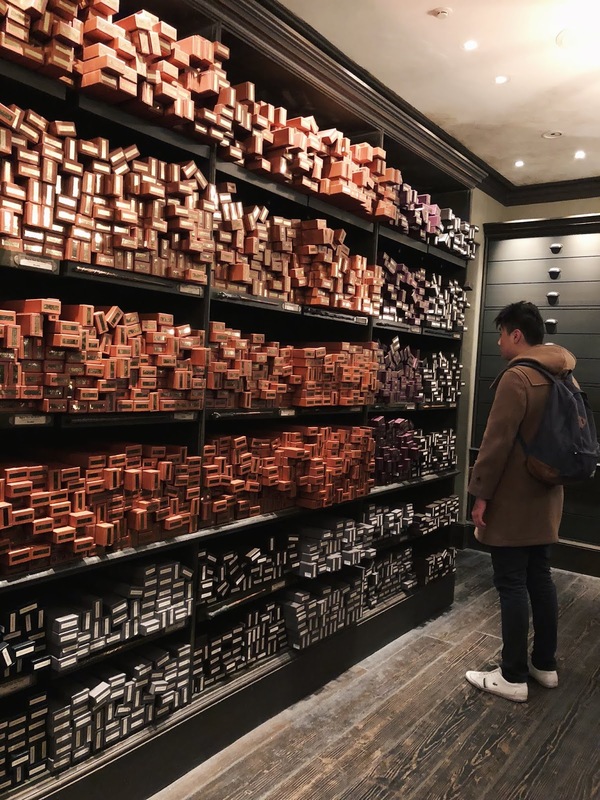 Make your way to Ollivanders to receive a Magic Wand that you can use around Hogsmeade. 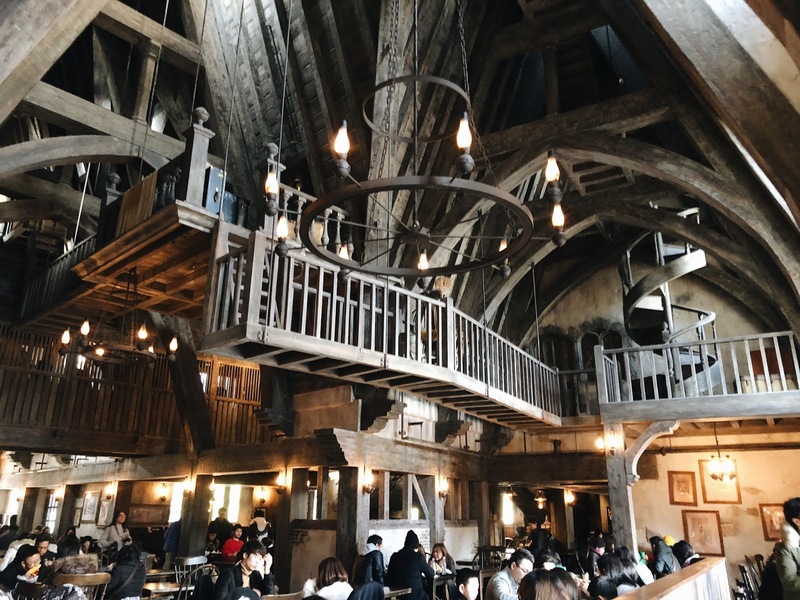 ‘Professors’ help you practice your spells to make things move, have water flowing out of cauldrons or fire appear through a chimney. 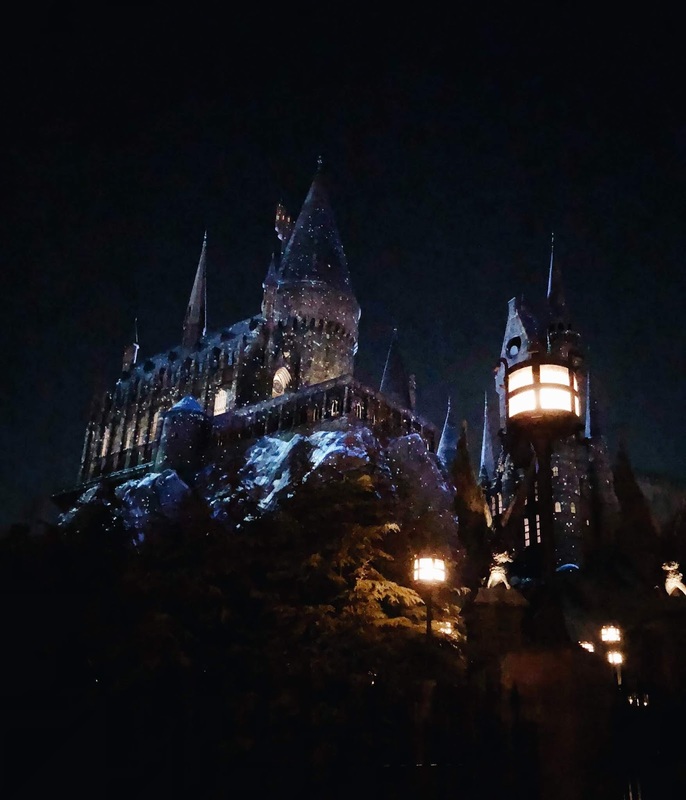 At night, Hogwarts and Hogsmeade felt so real. 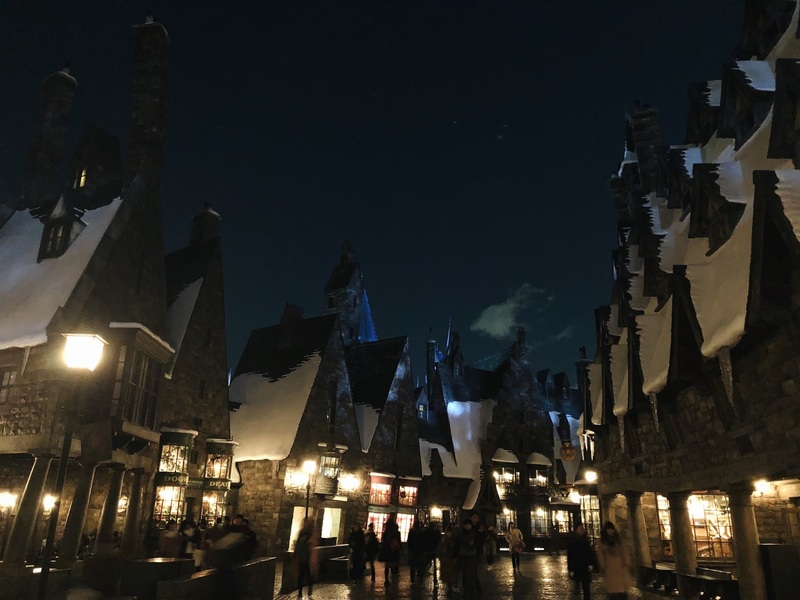 The crowds faded away as the park was closing but we made it in time for the winter light show. 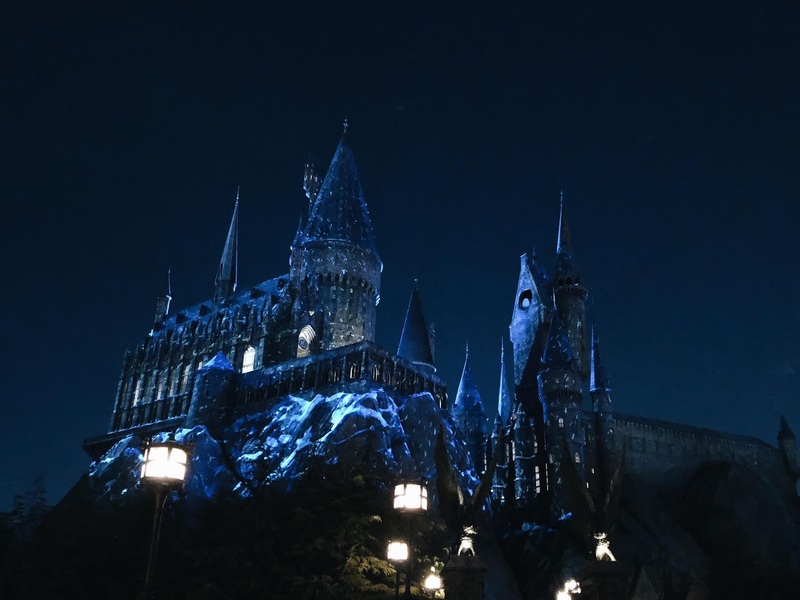 Imagine watching snapshot scenes of the Goblet of Fire with the Yule Ball waltz, flying quidditch matches and the castle transforming into a winterland wonder.